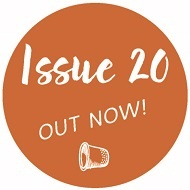 One Thimble issue 19 included some wonderful playIme images by Julvelyn Samson of JS Art & Design. 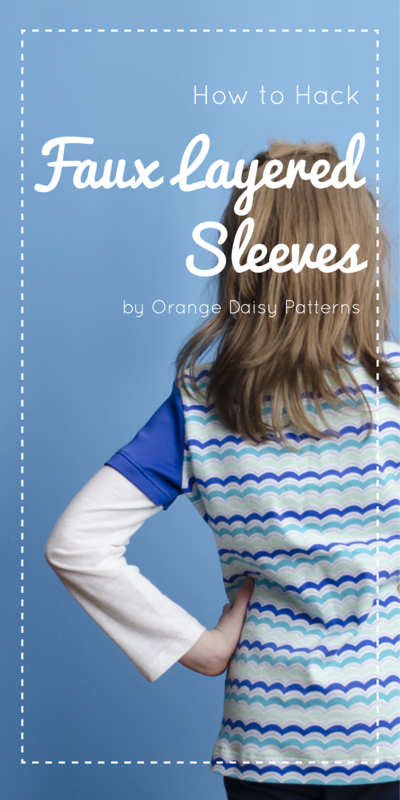 These are perfect for so many uses and work so well in combination with other OT19 patterns. 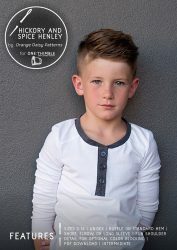 Want to make the Hickory & Spice Henley a quicker sew? This past Christmas, I wanted to make one of these shirts for each of my three girls. It was almost Christmas by the time I got to that project on my list, so I decided to speed up the process by making their henleys into faux henleys. Here’s how you can whip up your own faux henleys in no time flat! 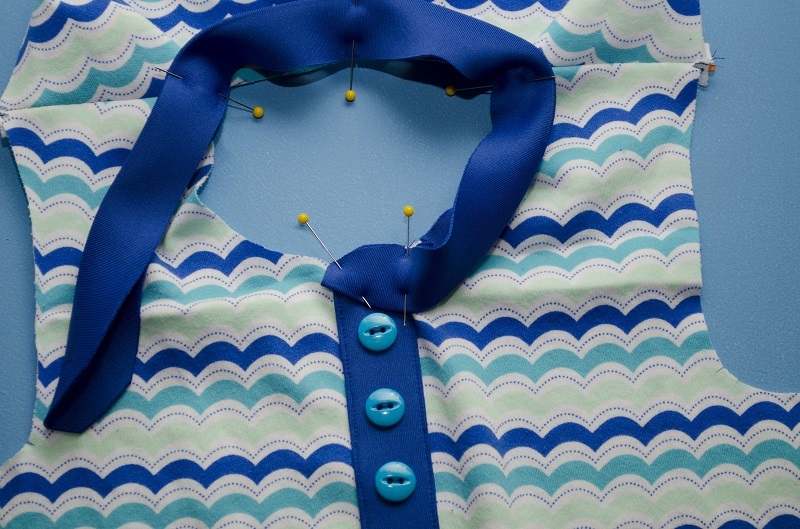 When sewing a faux placket, you need to cut out only the longer of the two placket pieces. 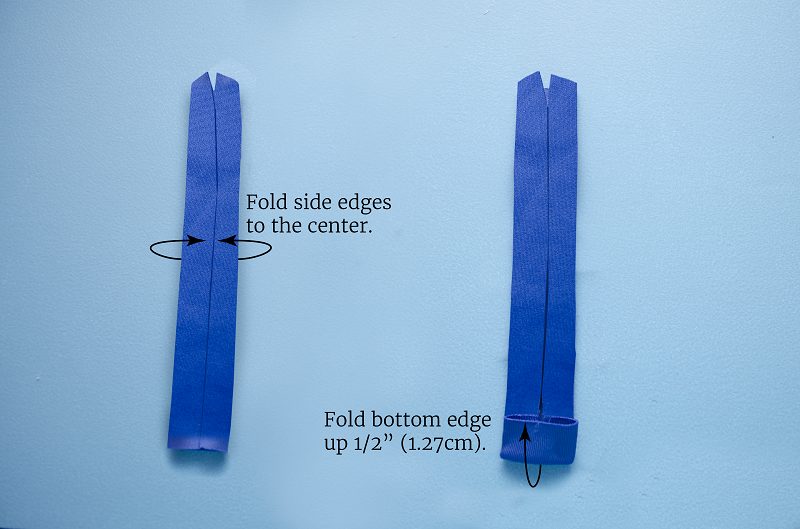 You don’t need as much fabric for the faux placket, so trim off 1/2” (1.27cm) from each long side. Those lines are already marked with notches, so that’s super easy! Go ahead and clip the center notch on the top and bottom. Fold the two long edges of the placket to the center. Press. 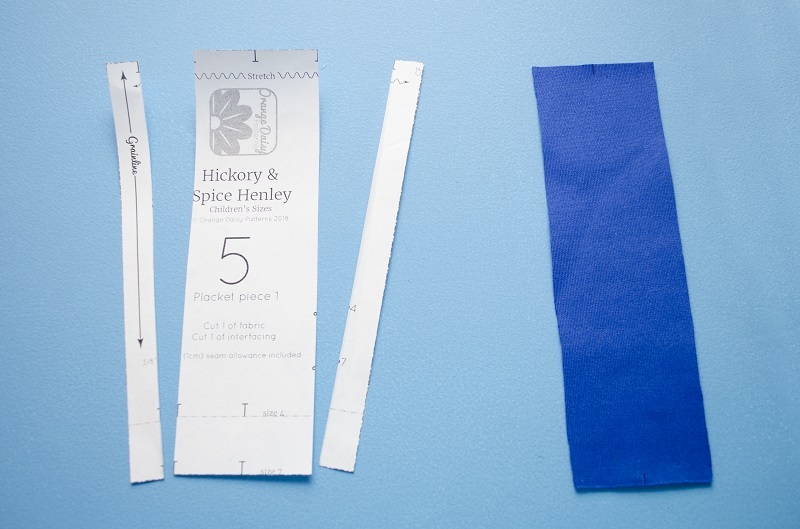 Then fold up the bottom edge 1/2” (1.27cm). Press again. While you’re pressing, go ahead and press a light crease down the center front of the shirt. Using the shirt’s center front crease as a guide, line up the folded placket piece down the center of the shirt, with the placket’s cut edges facing the shirt and matching the top edge to the neckline. Pin or baste into place. Carefully topstitch around the edges of the faux placket. Remember that you can use a straight stitch, as this will not need to stretch. 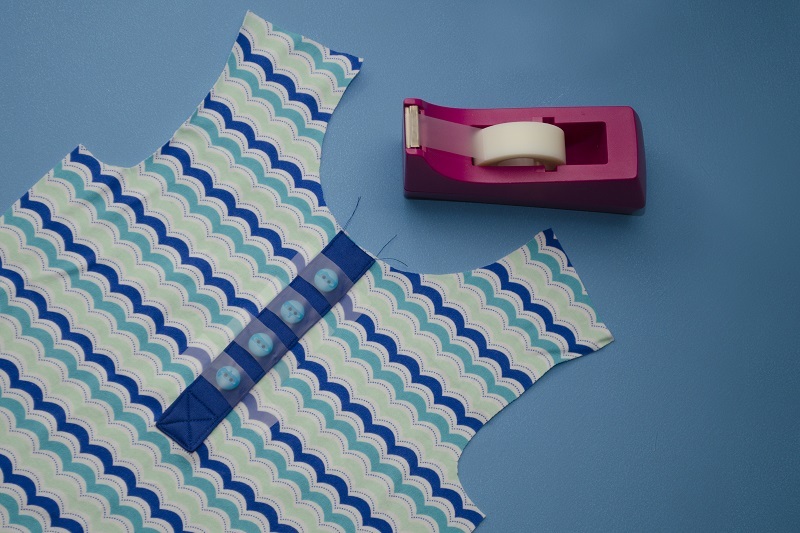 Next, you’ll sew the shoulder seams and prep the neckband as the pattern directs. 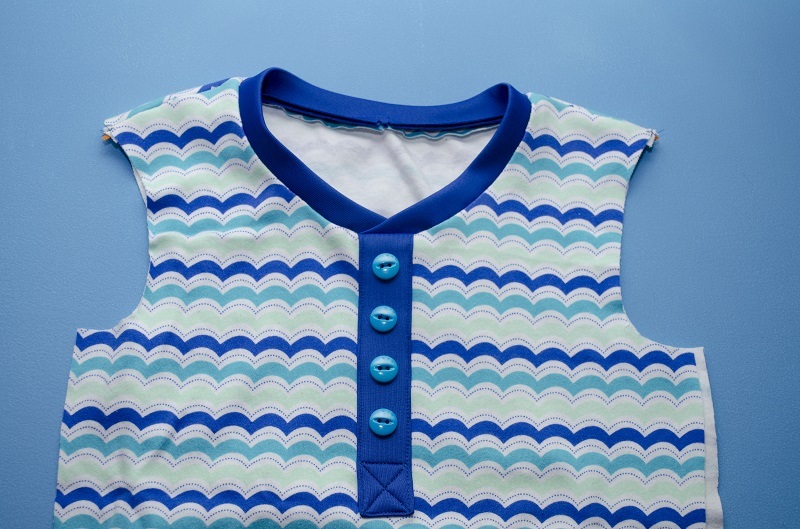 In the original pattern, the ends of the neckband get neatly tucked inside the placket pieces. Since there isn’t an “inside” anymore, simply pin the ends on top of the placket like so. The second side will go on top of the first in the same way. 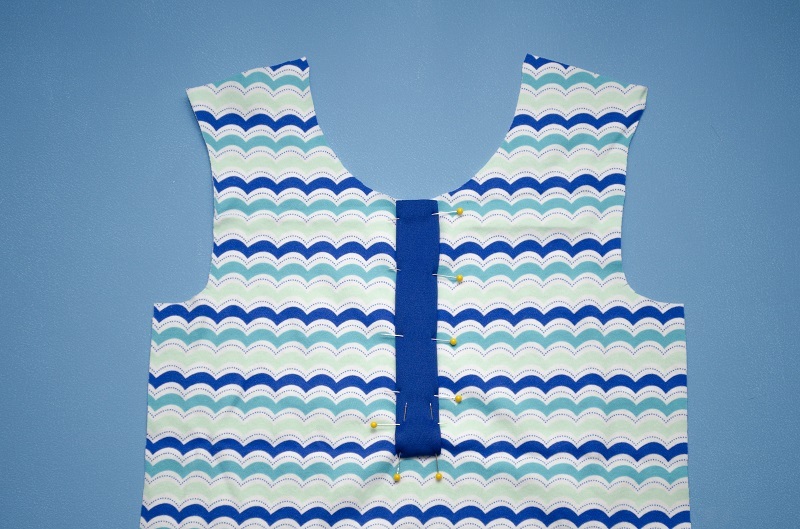 Otherwise, sew on the neckband like in the original pattern. And there you go! I love whipping out a quick faux henley placket when sewing time is limited (which, honestly, is most of the time). What do you think? Are you Team Real or Team Faux? 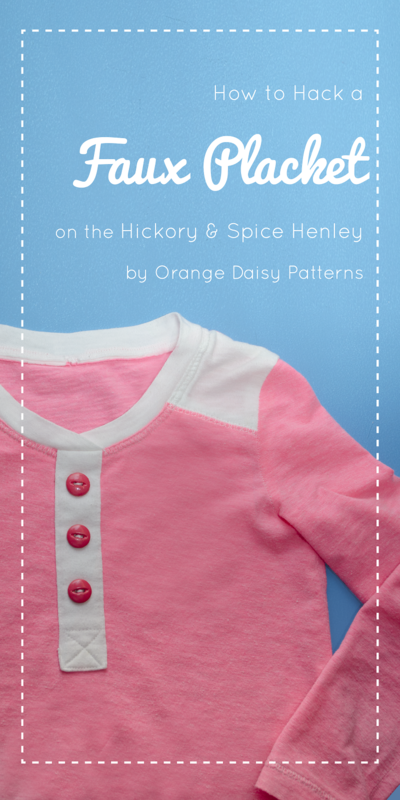 I hope you’ve enjoyed the Hickory & Spice Henley pattern hacks I’ve shared this week! 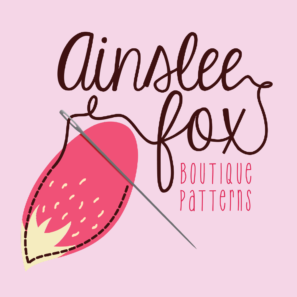 I love all the ways this one pattern can be customized, altered, and made uniquely yours. I’m excited to see what you come up with! 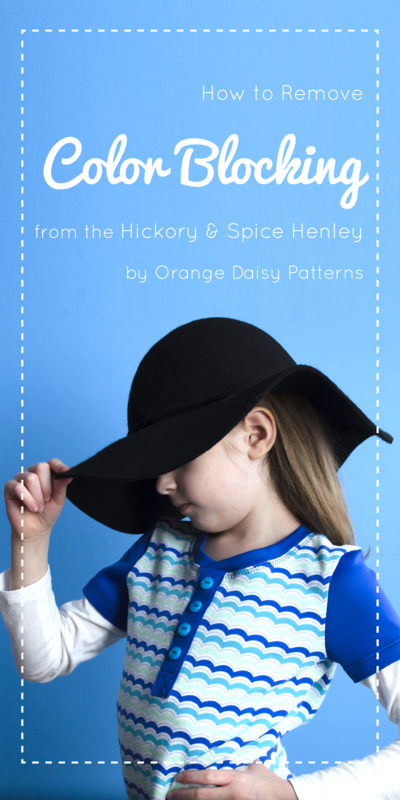 Share your creations with #OrangeDaisyPatterns, #HickoryandSpiceHenley and @orangedaisypatterns (on Instagram) so I can marvel at your amazingness! 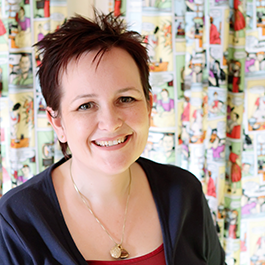 You can purchase Jill’s pattern for the Hickory and Spice Henley HERE or visit her website to see more of her work HERE or purchase Issue 18 which contains this pattern HERE. I never thought about this too much before, but it’s really quite obvious and TRUE! 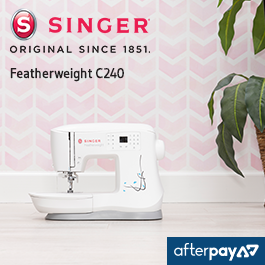 There is something sewing related for all of us that we are scared to attempt. It’s not the same for everyone, and even the new sewer should feel reassured, as even the most experience sewer has something that they shy away from. Why? 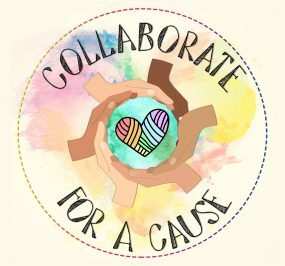 Simply because sewing particular things are outside our normal comfort zone and area of expertise.